Breakers are the devices in your electrical panel that protect all of your electrical devices. An Electrical Breaker Installation is an easy but highly dangerous process. We recommend letting a licensed electrician install it. Need help with your electrical breaker installation? We’ll send a technician over right away. Our licensed electricians are available 24/7 and are experienced with installation small breakers of 15 amps to large ones in the thousands of amps for commercial properties. Call Now To Get Your Breaker Installed! 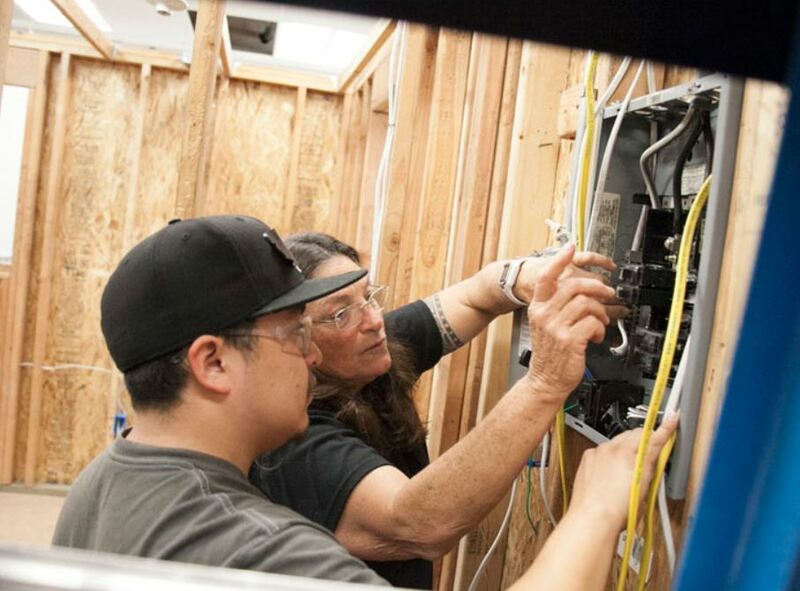 Do you live in Las Vegas and want to learn more about installing electrical breakers? Read below! When Is It Time to Replace a Breaker? If your breaker is tripping, it is not necessarily a bad thing. The breaker is tripping because that is its job – it trips to protect you. Replacing a breaker because its tripping is like replacing a door lock because its locking you out. Often times, the solution a tripping breaker does not come with replacing it, but instead comes with a service inspection. Here’s how to determine if you have a breaker problem or an electrical problem. Do I Have a Breaker Problem or an Electrical Problem? Begin by unplugging all the appliances on your breaker’s circuit. You can do this by going to your electrical panel, look at which sectors are tripping, and then unplug them. Next, reset your breaker. Do this by switching the breaker’s handle to the off position, wait 60 seconds then switch it back on. If the breaker immediately stops working again, then you need to replace the breaker. If it trips when you plug your appliances back in, you could be looking at either an electrical overload or a short circuit. If there’s an overload, you can unplug some of the appliances to not have everything running at the same time. If you want to be able to run every appliance at the same time then you will need to hire a licensed electrician to come take a look at your systems. The same goes for dealing with a short-circuit and for replacing your breaker. Although you can install one yourself, it is an extremely dangerous process. It is highly recommended that you let a professional handle it. Las Vegas gets extremely hot over the summer. This can cause breakers to go bad earlier than they should. And a bad breaker is extremely dangerous. According to the Electrical Safety Foundation, over 51,000 electric fires damage homes every year resulting in nearly 500 deaths, more than 1,400 causalities and over $1.3 billion in real estate damage. If you sense a burning smell coming from your breaker, see burned parts or frayed wires, or feel that it is searing hot to the touch, call a professional without hesitation.